DEVECSER, HUNGARY. 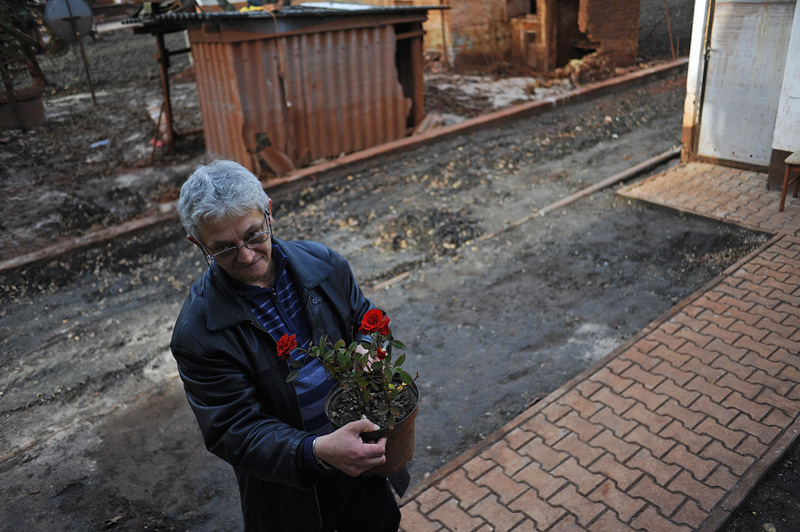 Jozsef Szalai with the single rose plant salvaged from the garden of his family home on November 20, 2010 in a ruined section of Devecser in the aftermath of an industrial accident on October 4, 2010 that resulted from a rupture in a reservoir containing toxic alumina sludge in nearby Ajka, Hungary that sent hazardous red sludge gushing through Devecser and several surrounding towns. Unlike other effected families, the Szalai family hopes to remain in their home as long as possible despite the devastation around them.